It’s officially December, and whereas it’s not officially winter until later this month I consider it winter once we get into Christmas season, and so we are here! Winter tends to be an unexciting season for me when it comes to fashion. Thankfully I have a baby girl who I can buy adorable winter clothes for to make up for it, especially for all the photo ops that take place this month. 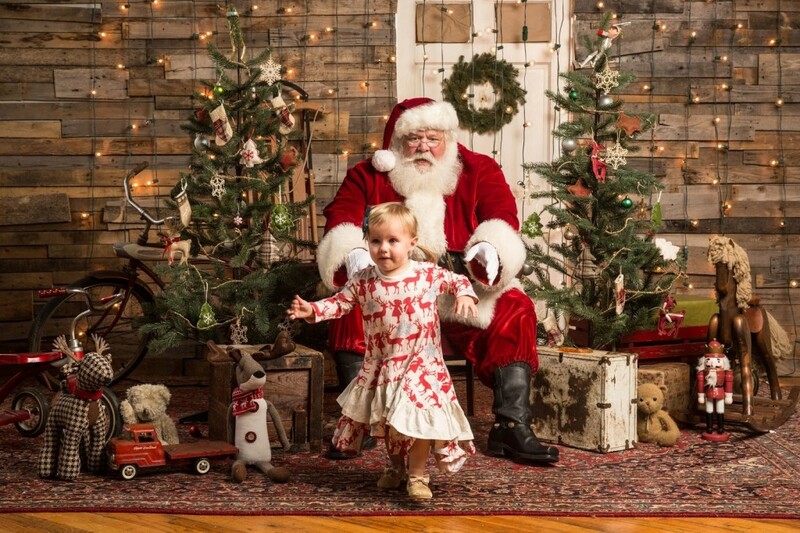 I think she’s going to be “meeting” Santa 4 or 5 times and you know I’m going to take about 100 snaps (maybe more) at each one, which means we need picture perfect outfits to carry us trough the season. 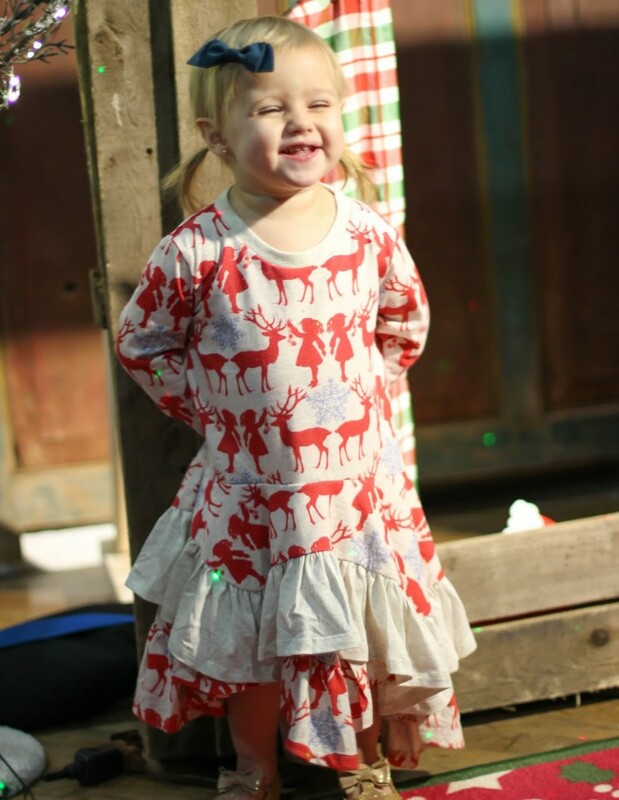 Luckily I found the best kids’ boutique for buying holiday dresses for girls – Little Skye Kids’ Boutique Clothing. I like to find Maddie Grace clothing pieces that are cute and charming while also being whimsical and fun. 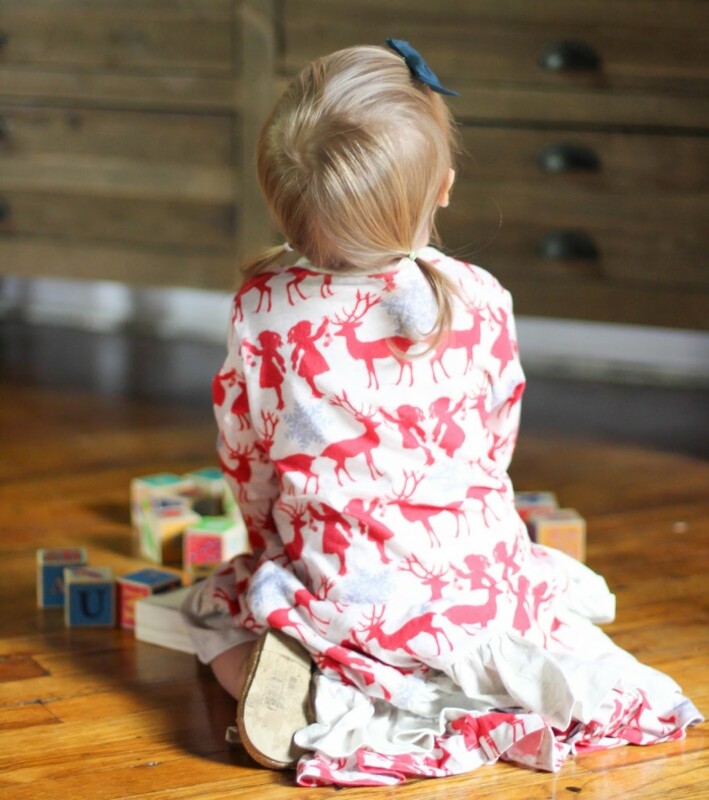 That’s why I adore Little Skye, a one-of-a-kind children’s boutique embracing the beauty, joy, innocence, and artful wonder of childhood, and their line Paper Wings Clothing. 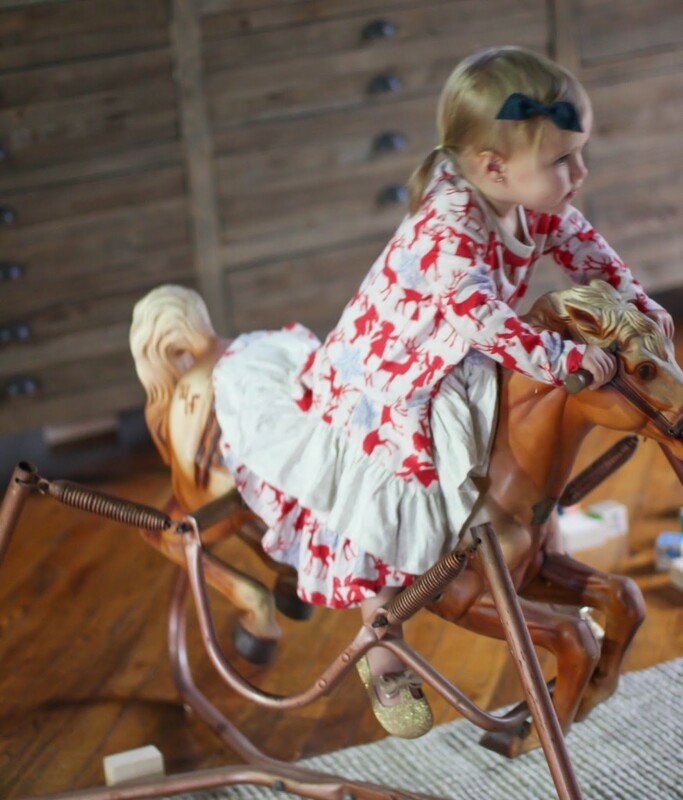 Little Skye Boutique brings you clothes that are inspired by the natural environment and have a vintage appeal for the perfect classic childhood look. 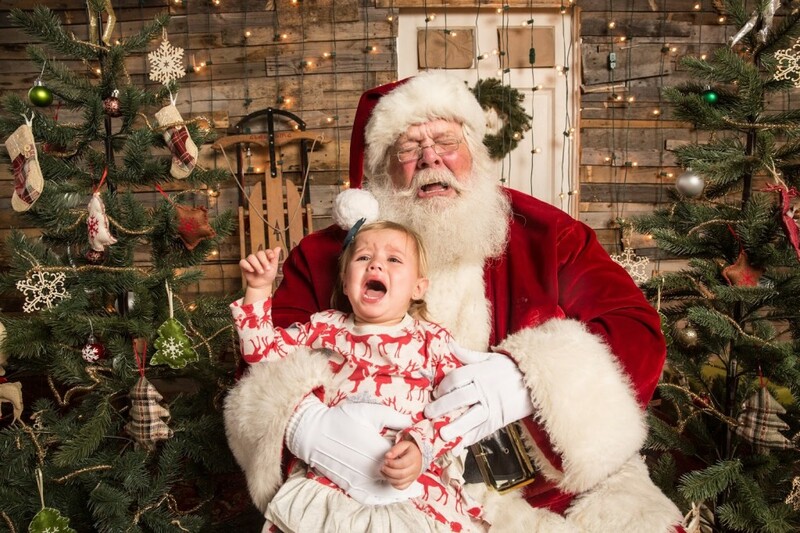 Okay so maybe she’s not the biggest Santa fan yet. 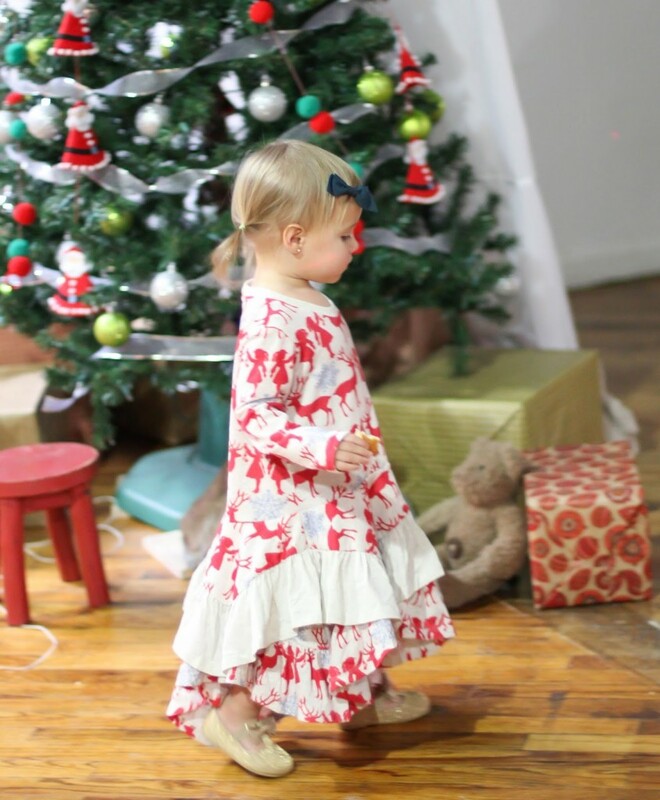 But she definitely loved running around and twirling in this perfect holiday dress from Little Skye Boutique. And I love the vintage feel of the dress, and how it stands out perfectly in these photos. We received a ton of compliments from other moms on this dress and comments on both how unique and adorable it is. Perfect for playing outside or posing for pictures, it’s definitely one we are going to be reaching for frequently the next couple of months. And because it’s also the season for savings, there is a great Little Skye deal going on. 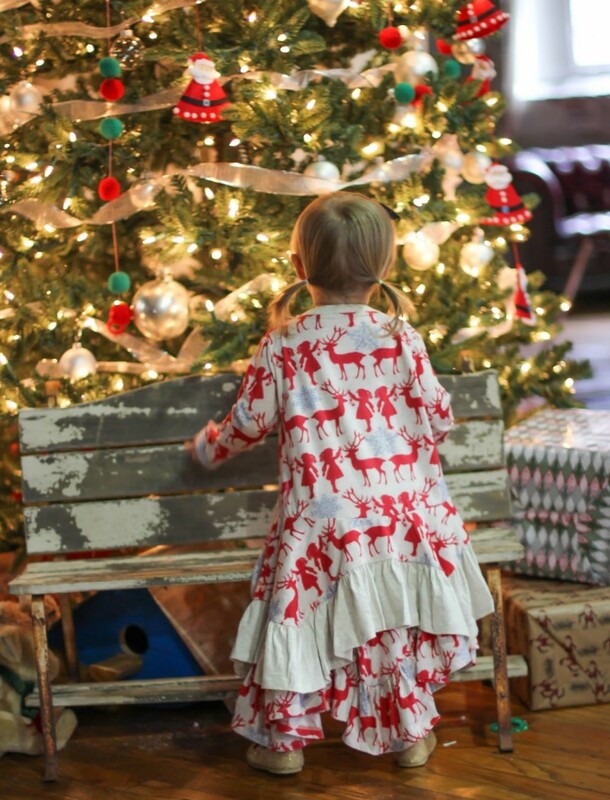 All Paper Wings for Little Skye and Blu Pony Vintage for Little Skye purchases through 12/15/2015 receive a Free Shipping and a $25 gift card valid on future purchases for every $100 spent when you use code BLGLS2015. 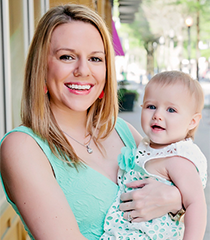 Also, make sure you check out Little Skye on Facebook, Twitter, Instagram, and Pinterest. What a beautiful dress! It looks so comfortable and stylish. I love your Santa pictures – hilarious faces aside, I think he is the real Santa – he looks great! That is too adorable!!! I miss my little lady being that small, but am very fortunate that she still LOVES dresses. Happy holidays! That outfit is adorable!!!! I feel like every kid needs a screaming santa picture… My son just looked up at santa like okay where's the toys? That's an adorable dress! And I have to say, the Santa picture is fantastic!! !